We like to be prepared for anything new in life. Whether we’re moving, changing jobs, or sitting behind the wheel for the first time ever, we like to research and get to know as much as we can about the situation we’re dealing with. But a lot of people tend to neglect the one area where we should try our hardest to be as prepared as possible: Parenting. Now, no one is saying that our parents did everything 100% wrong – they all did the best they could for us: they loved us, protected us, and helped us become who we are today. Consider this for a moment: people who lived prior to 1879 had no electricity. It didn’t stop them from living normal, peaceful lives – but having electricity did make those lives substantially better and easier. We think that parenting is a lot like electricity in that way. We can be very good parents without any sort of coaching, but preparing ourselves and learning as much as we can about the psychology of parenting will definitely help us be even better. Here are five research-driven ways that parent coaching can be beneficial for your family. People are complex creatures. You can watch your child grow and know them better than anyone else, but you still can’t see inside their heads. Sometimes they might feel anxious about something, but feel ashamed of their anxiety, and that will stop them from telling you that something is wrong. There’s no shame in not being an omnipotent being and having trouble connecting with your child, especially when they’re teenagers. After all, no one ever taught us how to deal with those situations; we’re just expected to know them naturally, intuitively. But being a human parent is very different from being a parent in the animal kingdom. We have a lot fewer instincts and a lot more thoughts and feelings. The good news is that attending training programs or coaching together with your child can give you incredible results when it comes to your child’s negative emotions. Compared to just your child receiving coaching, the benefits are much greater. Here’s why: when your child is learning how to combat their feelings of anxiety, shame, or negativity, they’re fighting them on their own. But when you’re both learning how to deal with them, a) you’ll always be able to not just be there for them, but help them in a knowledgeable way, and b) you’ll model the right kind of behavior to them in situations when you yourself are feeling upset. By watching you understand and overcome your own negative feelings, and by becoming comfortable enough to speak about their own, you’ll start working on emotional issues together and develop a much closer relationship. Now this one probably sounds the least believable of all, right? Your child is the one who should be studying, practicing, or even attending some tutoring lessons – but what have you got to do with it? We often hear that someone is a certain way because of their environment. “Oh, he got into some bad company, he changed completely!” Or we hear how somebody is so lucky for having such great role models in their life. Then why would it be hard to believe that by providing a certain type of atmosphere at home you can help your child become a better student? This is the part where a lot of parents might get defensive. “Are you saying that my child is living in a toxic atmosphere?” Again, none of this should mean that you’re doing anything wrong! But psychology is progressing every day, and we’re learning things about ourselves and our children we didn’t know before. 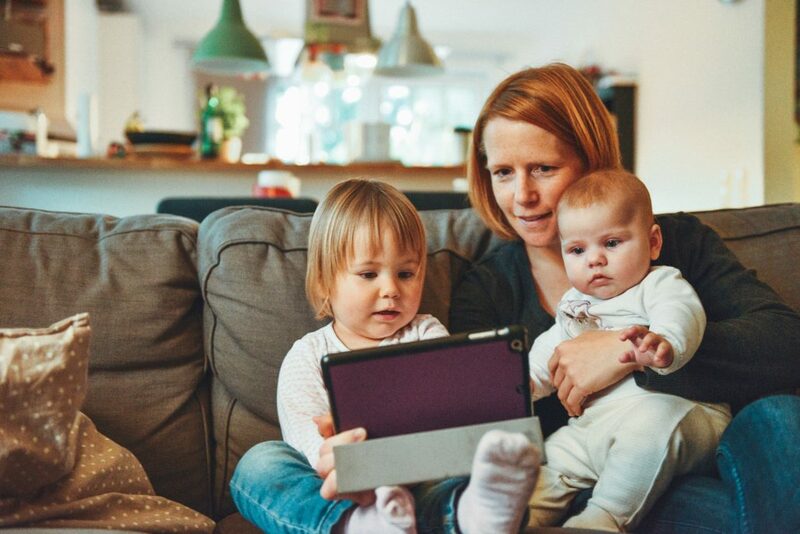 Thanks to all the new research and discoveries, we can help you not to become a “good parent” – if you love your child and care for them, you are one already – but to become as good a parent as you can possibly be. Children need you to be involved in their school lives, but not too involved. You should meet their teachers, be involved in school events, ask them about their grades and whether they need help with a certain subject. But smothering them will be counterproductive. Checking their grades every week without giving them a chance to tell you about that C themselves, will break down the trust between you. A general rule of thumb is: if you are open and accepting with them, they’ll tell you if they need help. All of this sounds great on paper, but in reality, it’s hard to draw a line: how much involvement is too much? This is where coaching can help you help your child. Being a parent doesn’t come with a manual, and there’s no shame in asking a professional how you can help your child develop academically. Research has shown that after receiving training, parents of children with ADHD felt less stress. They found it much easier to remain calm rather than over-reacting. 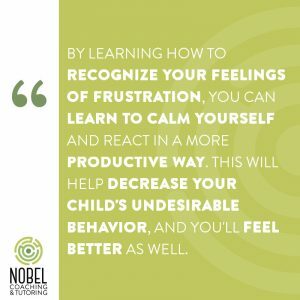 You have probably noticed that when you’re stressed, you tend to react more harshly to your child’s misbehavior than you normally would. By learning how to recognize your feelings of frustration, you can learn to calm yourself and react in a more productive way. This will help decrease your child’s undesirable behavior, and you’ll feel better as well. You can learn to accept your child without judgment, to listen to them more carefully, and above all, to feel compassion not only for them, but for yourself, as well. Instead of feeling like a bad parent every time you overreact, you can start understanding that while your reactions are normal, they’re not the only thing you can do, nor the only way you can react. In certain respects, parent coaching serves to break the vicious cycle of hyperactivity. If you’ve ever seen your child act that way and couldn’t stop yourself from yelling at them, punishing them, or telling them things you didn’t really mean, it doesn’t mean you’re a bad parent. It simply means you fell into this vicious cycle: a child does something they cannot control to which their parents respond with their own behavior they cannot control, which, in turn, may worsen the child’s initial behavior. They may start feeling misunderstood, anxious, ashamed, and lacking self-esteem. The good thing is, coaching can help you as a parent learn how to react to their hyperactivity in a calmer, more constructive way, which will help calm them down as well. But that’s not all! You can also learn how to practice autonomy, self-esteem, stress management, and a lot of other very important things with your child. Coaching offers you a way to not only educate yourself, but also to be able to work on your own and your child’s emotions to create a more positive and accepting family dynamic. Mindfulness. That word seems to be everywhere these days, doesn’t it? It’s not for nothing, though: mindfulness is a powerful tool for both individuals and their relationships. Simply put, being mindful means being present in the moment, without judging that moment as good or bad; you’re simply accepting things as they come, without overreacting. That doesn’t mean that from now on you should be emotionless about anything that happens – not at all! But taking a moment to hear another person without judgment, to accept yourself with all your thoughts and feelings and to accept others, is a huge step toward solving a problem in a calmer, more positive way. This is easier said than done, but a Coach can help you learn and practice this skill. It all sounds nice and dandy, but learning to do this takes a lot of practice, and coaching is a great way to start yourself on that journey. A Coach will be a non-judgmental listener who will, in turn, model the non-judgmental listening to parents. We can all agree that solving a problem from a position of acceptance, rather than one of anxiety, anger, and sadness will give us much better results, right? At Nobel Coaching & Tutoring, we encourage parents to attend individual coaching sessions while their children are attending theirs. That way, parents can work on their own feelings and behaviors in order to model the best behavior possible to their children. If your child is having issues focusing on their homework, or if they are simply stressed out about the upcoming SAT’s, the best person to help them overcome it and learn to create a positive atmosphere is you – and we are here to help you learn how.